our team is comprised of former entrepreneurs, investors, operators, and innovators. No investment bankers here. Our edge comes from our collective expertise. FoundersPad is a women-led VC fund, with early stage “in the trenches” experience and deep curiosity, peppered with expertise in investing. This is what makes us unique and exceptional. It is inspirational to be surrounded by smart and dedicated entrepreneurs who are out to change the world. Genevieve comes with over 10 years experience building and growing start-ups and early stage businesses in various roles. A long-time fixture in the Pacific Northwest start-up industry, she is a founder of the XXcelerate Fund, a 501c3 non profit education program and debt fund for women-led companies. Her functional expertise is in sales, growth strategy and demand generation and she teaches workshops and programs, writes curriculum, speaks and consults with entrepreneurs and organizations across the country in the topics of sales for early stage entrepreneurs and launching and funding new ventures. She originally joined FoundersPad in 2016 and began leading deals as part of Fund 1. She has since created strategic partnerships and resource networks to enable founder success, follow-on financing, and grow the FoundersPad approach and mission beyond Oregon to the greater Pacific NW at large. Genevieve resides in Portland, Oregon. She has a degree in Journalism from WSU’s Edward R. Murrow School of Communication, and an MBA from University of Washington. She currently serves on the founding executive board of XXCelerate Fund, and is on the board of directors for the Girl Scouts. Star is a 3rd generation UC Berkeley alum, graduating in 2001 with a Pre-Med BA degree in Integrative Biology. She first worked as an investment analyst for Bay Angels, with thousands of accredited investors and VCs. Star identified investment targets, performed due diligence, and helped entrepreneurs develop compelling presentations for monthly pitch sessions. 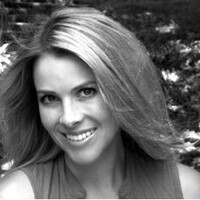 She helped structure $1.5M in PE financing across 10 companies and later worked with other Angel and Venture groups, including Keiretsu Forum, NanoSIG, and Alameda Capital, a fund in formation where she helped write the extensive private placement memorandum to secure $5M from lead investor, Eastman Chemical. Star has focused the past 10 years on sales and business development with L’Oreal, VH1, Cisco Meraki, and most recently OneLogin, where she structured strategic partnerships representing 2M cloud service licenses including DELL, RSA and Proofpoint. Star lives in Bend, Oregon. She has a degree in Integrative Biology (Pre Medicine) from UC Berkeley. Luann Abrams has been the manager of FoundersPad for three years bringing some of the brightest upcoming entrepreneurs together with the most experienced business minds to drive innovation in the region. Luann served as co-manager of Fund 1 and actively deployed a majority of the fund. Luann has a background in aerospace engineering and spent most of her 15 years in aviation working for a start-up aircraft company. She led the certification engineering program at Columbia Aircraft where she oversaw the certification of several aircraft models and ensured that all designs met applicable regulations and was eventually acquired by Cessna. Due to her diligence and integrity she was granted the authority to sign off on regulatory compliance on behalf of the FAA prior to aircraft delivery. Luann lives in Bend, Oregon. She has a degree in aerospace engineering from Embry Riddle Aeronautical University. Chris is the founder of FoundersPad, an early stage entrepreneur and experienced private equity investor having co-founded and backed several successful technology companies including LogicalApps, which he eventually sold to Oracle. He went on to hold senior role leading product management and strategy with Oracle and Fiserv. He is an active board member and mentor to several early stage technology companies and has a passion for backing fearless entrepreneurs disrupting big markets. He is currently acting CEO of Amplion and sits on the Investment Committee for FoundersPad. Chris lives in Bend, Oregon. He has a degree in economics and international business from UCLA.